Thank you so much for agreeing to take the time to sit down with some coffee and let me pepper you with questions, lol! TS: Both of my kiddos are in school so while they’re there, I write. 😊 My favorite place to write is in my room. I have a nice bay window that I like to look out of while writing. TS: I’ve always thought it would be cool to be a librarian or own a book store. Not sure which one I would like more. TS: It depends on the story. Some I can write from my own and others I have to do lots of research and ask people for their experiences. TS: Lol, no I don’t. My boys however would love to own a dog. PM: What was the last movie you went to see/favorite movie/favorite song? TS: Last movie I went to see was Aquaman. PM: Oh, I have read all of those! Great stories! TS: Making sure I’m being authentic to male. If my husband is home when I’m writing, I’ll ask him repeatedly if he would say things a certain way. TS: Oh that’s such a tough question. I read so many authors and they all have influenced me in some way or the other. I would say contemporary romance wise, Becky Wade is the biggest influence. The emotion she packs into a story is one I hope I’ve learned and used in my own unique way. TS: I would love if they subscribed to my newsletters. I’m going to be more intentional in connecting in the new year. 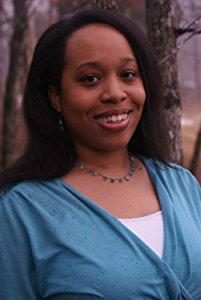 Previous Coffee with Stephenia H. McGee! I love getting to know Toni better! Don’t quit, my friend… we keep on keepin’ on!